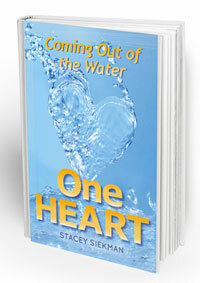 We recently designed this book cover, One Heart by Stacey Siekman. There is also an online version of the book, but many prefer to read the hard-copy. With so much focus on online marketing sometimes the leave-behind or direct-mail piece can often be seen as a thing of the past. Even our books and magazines can all be read online. Although there is no doubt we live in a 24/7 digital world, technology is but one medium to communicate. Many would agree, there is no replacement to holding a printed piece in your hand: whether it be a special invitation you eagerly open in the mail, writing in the margins and underlining passages in your favorite page-tattered book, or capturing your customer’s attention with a beautifully designed printed piece highlighting your business or services. Many businesses have always used print as part of the their marketing budget and some are now deciding to allocate a good deal of their resources to print. Even startups know the value of printed pieces. A recent article from CNN/Money explores this very subject further. Curious to see how we can make print work for you? Give us a call at 716-697-1854 or contact us.